Meet the coolest creepy crawlies on the planet! The world’s most captivating bugs will seem to jump off the page in this innovative and exciting book, featuring a deeply textured cover that looks and feels like an enormous spider! Zoom in on the coolest bugs in the world, crawling the forest floor alongside beetles and ants, and flying the skies with bees and dragonflies. The Bug Handbook makes you feel as if you are looking through a microscope. Featuring gorgeous full cover spreads of the insects, kids can get up close look at the creepy crawlies and their environments from a many eyed point of view! *Exciting illustrations of the creatures in action, battling other bugs or blending into their natural environments! 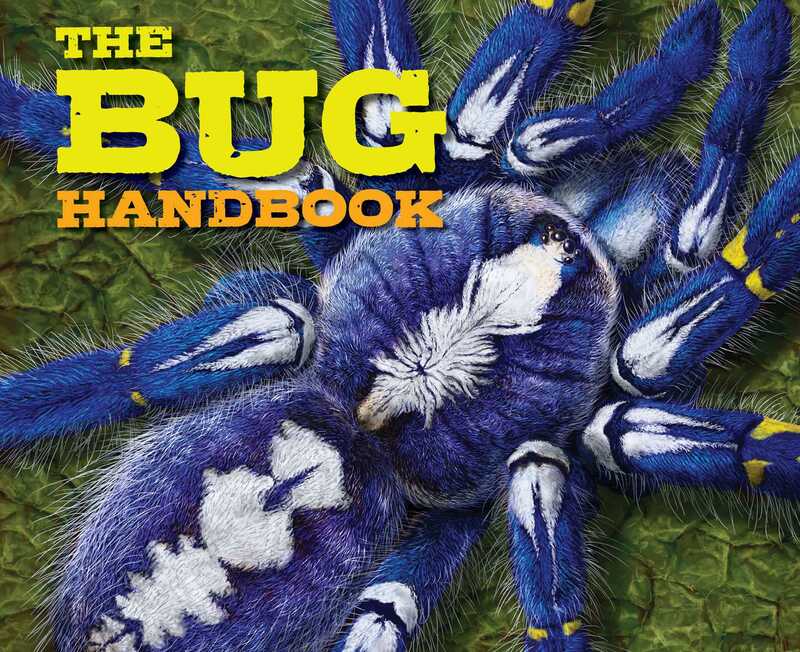 The Bug Handbook is your go-to guide on all things buggy!